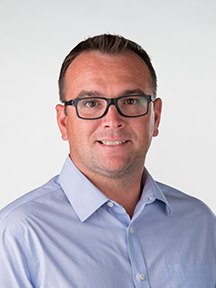 ATP Nutrition is excited to announce Kurtis Shukin as Regional Account Manager for a new territory to service the nutritional needs of growers and retailers in Eastern Saskatchewan and Western Manitoba. Kurtis’s experience, agronomic knowledge and network will make him a great addition to ATP’s agronomic technical team. Kurtis’s agricultural experience spans over the past 18 years and includes several years as a grain and oilseed producer. With his past experience as a product and territory sales manager, he worked closely with ag retails and growers to help them achieve their yield goals. Kurtis’s agronomic knowledge started with growing up on a grain farm near Buchanan, Saskatchewan. To supplement his on-farm knowledge, he later graduated from the University of Saskatchewan with a major in Soil Science. Kurtis has built a vast network of growers and ag retails over the years and is passionate about how proactive plant nutrition can drive the genetic potential of the crop. Kurtis resides in Canora, Saskatchewan with his wife, Genevieve and three children, Taye, Kaelyn and Karter, who are very active in Hockey and Lacrosse.